"We know that students in the state of New York graduate with an average of almost $26,000 in debt, and this are moving in a direction of becoming unsustainable"....says President Obama. Finding money to pay for college or online degree through monetary aid in form of college scholarships and student loans or grants to fund your education isn’t as hard as one may think. However, applying for student financial aid should be considered as important as filling college admission or application form. Once appropriate research is done, you will see that funding education or higher education is easy and is doable through a lot of available options to put together an impressive financial aid/grant package. Knowing what is Financial Aid and which are the latest benefits available and which are the ones you are eligible for, carries high importance. U.S.Govt has been prominently highlighting all these facts for the benefit of all. The first step is to fill Free Application for Federal Student Aid (FAFSA) form, which informs you about different kinds of scholarships, campus-based aid, federal and state grants as well as low-interest student loans, a student is eligible for. The most ideal way to fund your education is the aid that you have received/taken in form of scholarship or grant; which is not to be repaid and hence tapping such opportunities before applying for loans is of utter most importance. You need to do an enhanced research looking for these career boosting financial aid or grant. Browse through the researched guidelines on funding your education at schoolanduniversity.com, because the best tips for financial aid application process are just a click away. Your hesitation about the process or unanswered questions prove to be the major reasons preventing you from searching funds to pay for your college education. We can help you with information about campus-based programs you could be eligible for and filing up for FAFSA. This is the perfect place to find good tips to fund your education and much more. Tuition fees are likely to rise faster than inflation, but the rate is not an easy prediction. In the 1990s tuition fees rose significantly. Newspapers were the ones which predicted that cost might go up to $200,000 in a decade. That did not turn out to be a truth but you have to be prepared to pay more as tuition fees when you join the university in 2020. A tuition fee is considered to be the main driver of cost increase. Tuition fees contribute to a large portion of universities’ income. Economist Francis Wong is of the opinion that the governments are experiencing constraints with regards to fiscal policies and hence they are not up to the mark with providing funds as they used to in past decades. Tuition fees will increase and relevantly the spread between costs in provinces will get bigger. This is a clear reflection of part ideology and part ability to pay. Newfoundland is considered to be amongst the most affordable regions for university education; but very few know that the entire economy here is been governed by oil prices. $120 per barrel is the moderate price; however the fluctuations of this price would shatter your budget/living cost to a great extent. A crash in the European economy, a dramatic change in China and B.C shall not sell its wood can bring in tremendous changes enough for a serious second recession impact as quoted by Alex Usher who is the president of the Higher Education Strategy Associates. Textbooks are getting better, and better things cost more. Elena Jara, Director of education at Credit Canada quotes "No meals are for free and likewise any added advantage of technology comes at an extra cost". Computers have successfully replaced calculators and so have the costs of these techno savvy gadgets. Nationally, rent will compete rising rate of inflation, campus areas are not going to be cheap. From 1993 and 2010, the national average cost for renting one-bedroom apartment rose to 11 percent. However, a closer study reveals that rental costs in own local market are not that attention seeking. For example, rent in Windsor dipped 13 percent while in Saskatoon it spiked by 40 percent. While cost of merely all the necessities are likely to rise hand in hand with the rate of inflation (1.3 percent annually), food costs are expected to go as high as 3 percent a year. A situation where the economy is not stable, chances are higher that more graduates will tend to default their student loans. This can be seen as a situation leading to more restrictions on student loans. Chances of more and more students qualifying lessen drastically. In such scenario; these students might have to turn to parents or private sources for borrowing at considerably higher rates says Elena Jara. Interest has its own impact. Students seeking a line of credit or credit cards will consistently have to make interest payments during their tenure of studies. Current rate of interests are not to be taken into consideration while thinking of making payments in future. The prime rate which is at a historical low is expected to rise by two points minimum in a normal economic environment says Francis Wong. Though the Youth labor markets are weakened, higher education is still vulnerable. Postsecondary education gives you much more as compared to the first four or five years after completion of graduation. Hence, it can be termed and looked at as long-term investment. One should possess a postsecondary education even to withstand the competing level in the labour markets because competitions are not only with your peers instead you are competing with everyone where competitive edge becomes mandatory. Attaining that educational level sets you with a successful head start on good path for your entire career says Francis Wong. It is about more than tuitions; as one should look more at aspects than just the headline tuition numbers while considering education costs. Student aid has always been vulnerable due to its significant aspect where one can see that costs are dipping down with tax credits. A suggested remedy in the Quebec conflict was giving students a partial support on tuition fees instead of making up their money by rolling back tax credits as quoted by Alex Usher. Ensure your aid worth; if it is a one-time aid or renewable and what is it that you need to do to keep it (including maintaining a certain grade point average). It's especially ideal for such students to look this over at inception or shortly after classes resume for the semester, so as to he or she can know the eligibility required before coursework becomes too intense. The Free Application for Federal Student Aid (FAFSA) form are made available at FAFSA.gov . 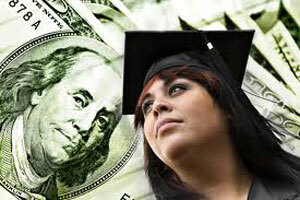 Some forms to this financial aid are limited, so it is beneficial to file early. For completion of the process, the three deadlines to be considered are the federal, state and the school deadline. Ensuring 100% preparedness with the help of FAFSA website by understanding what each of the deadline means is mandatory. To simplify your filing, one can have the IRS information retrieved and transferred to the FAFSA in your favor: but this is possible only after February 1. To claim your financial aid package; you must know the process and also as to when you need to execute it in order for the amount to be deduced from your tuition fees. For example: renewable scholarship. One has to go online every semester and "claim" the entire amount. The university then deducts the same amount from your tuition bill. Although the university notifies about the time to reclaim the financial aid package every semester, such E- mails are likely to slip through the cracks. It is noticed that the currently availed scholarship amount might suffice the requirements; but they do not include aspects such as study abroad or attending diversity retreats. In such cases supplement scholarship applications help for such activities. Also anything at school that your tuition fees doesn't cover such as pledging a fraternity or sorority, joining an honor society, or going on a service trip; one should explore options for scholarships for these endeavors as well.